Our holiday cottages offer self-catering accommodation to those who are looking for a rural get away in the heart of the Cotswolds. 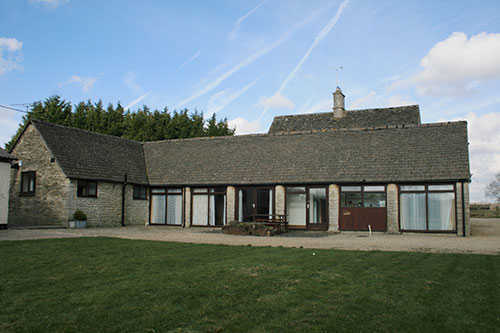 The accommodation is situated in a tranquil position on the banks of the River Thames and is 4.5 miles south of the historic and idyllic town of Cirencester, the capital of the Cotswolds. The holiday cottages offer the perfect spot to experience the wildlife of the countryside. Foxes, rabbits and deer are frequently observed within our grounds and the surrounds. In addition, ducks, herons, buzzards and kingfishers that visit the River Thames are often viewed from the cottages. Our holiday lets are located on a working sheep farm and depending on the time of year that you visit there are opportunities to feed the lambs. Furthermore, the accommodation is surrounded by 100 acres of farmland affording splendid views and footpaths, making it the perfect countryside retreat. Footpaths include the Thames footpath which leads along the River Thames and joins up to the Cotswold Water Park and the local villages of Ewen and Somerford Keynes. In addition, the holiday cottages are within easy reach of the Cotswold villages, Bath, Stratford-Upon-Avon, Oxford and Stonehenge. 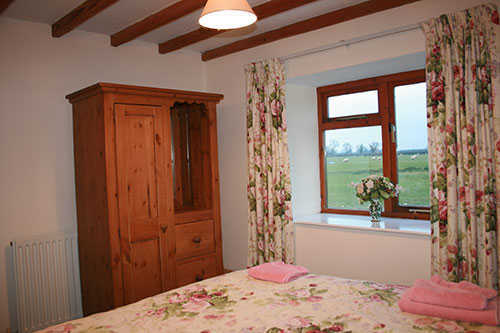 They are all extremely well equipped, are comfortably furnished, have double-glazing and full central heating. There is also a separate laundry room with automatic washing machine, tumble dryer, ironing board and pay phone. All of our accommodation is dog friendly and you will also be spoilt for choice on countryside walks. See our location and local attractions pages for more information on the area and nearby places to visit.